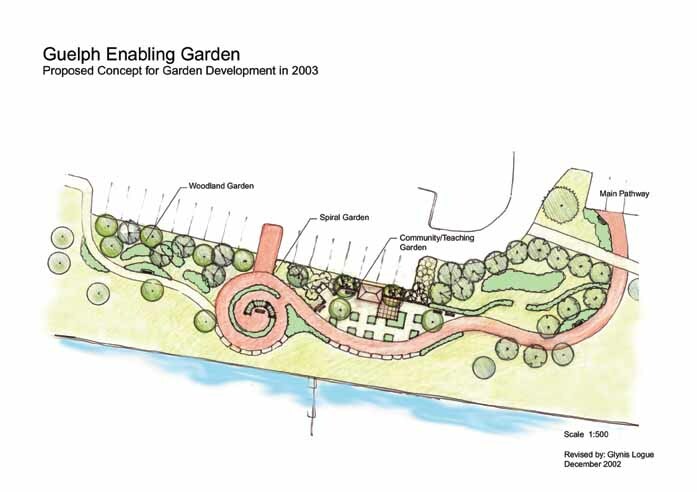 The aim of the Guelph Enabling Garden is to provide a fully accessible working/teaching garden for all Guelph and community citizens. It is designed to be a destination for visitors to enjoy nature and the healing it provides. It is a garden that can be both actively used and passively enjoyed. Workshops are offered throughout the year that relate to various gardening aspects including assisting those with their own garden challenges, as well as for school-aged children, seniors, and those with varying abilities. 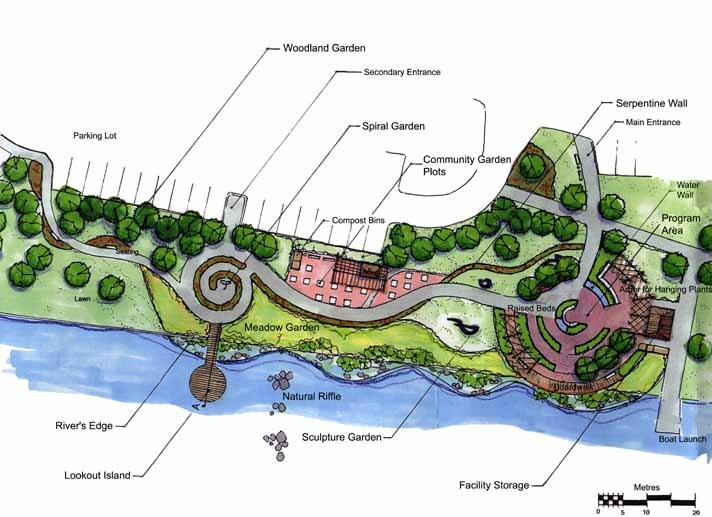 Phase One of the plan includes a woodland garden, spiral garden, outdoor sculpture gallery, and community garden plots. You enter the garden on a main pathway built to accommodate wheelchairs, walkers, and clients with low vision. The surface is smooth and flat, with good traction. 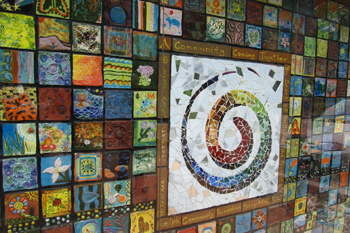 The pathway has textural and visual markers and is wide enough to allow two wheelchairs to pass. The fully accessible community garden plots highlight teaching, working, and growing your favourite plants. There are raised garden planters built at different heights for those in wheelchairs and those who wish to sit or stand. A wooden arbour and hanging baskets create a sense of enclosure for workshops. Next to this area there is a fully accessible shed to house our supplies, water, and hydro access. Carry on through the garden and you come to a spiral garden that looks over the river and a quiet wooded area to rest and enjoy nature. Sit under a native tree, listen to the birds, or enjoy a picnic. The Guelph Enabling Garden is a unique experience that stimulates all senses through active and passive spaces. Plantings used in an enabling garden are chosen for fragrance, texture, sight, sound, and taste. Native plants are used to demonstrate how we can learn to grow gardens that do not rely on water and chemicals. Environmental gardening is also practiced through activities such as composting, mulching, water conservation, and xeriscaping. Phase Two of the garden will add three final components. There will be river restoration, boardwalks built onto the river and a larger teaching garden. 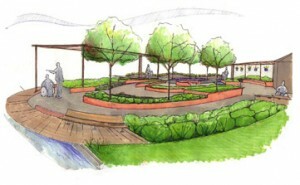 Other features will include a water sculpture, more arbours and site furniture. This phase will be completed as interest and funding become available.